A group of fishing and conservation organizations have filed a petition in the 9th U. S. Circuit Court of Appeals challenging BPA's Record of Decision that approved NOAA Fisheries' 2014 hydro BiOp. The groups had earlier filed a notice of intent to sue Action Agencies over the ROD, and the petition is the next step in the process. Among other things, it says BPA erred by not completing a new EIS before approving the 2014 BiOp because of "new information" about climate change and the value of spill on juvenile fish survival. "New species of salmon and steelhead have been listed as threatened or endangered," says the petition, "approximately 10,000 megawatts of new power generation has been added to the grid in the past ten years, and the value of navigation on the Snake River has declined significantly. None of this significant new information and much more, or the substantial changes in the environmental context or circumstances of FCRPS operations, were considered in any of the EISs or other NEPA documents referenced in BPA's 2014 ROD." The petition also says that BPA should have known that the 2008, 2010 and 2014 BiOps were invalid because of the agency's "integral role" in developing them, and by relying on them, BPA fails to comply with substantive requirements of the ESA to avoid jeopardy and adverse modification of critical habitat. The filing also charges that NOAA Fisheries' incidental take permits issued for hydro operations are illegal because the previous BiOps had been found illegal. The groups are asking the 9th circuit to find that BPA has violated the ESA's section 7(a)(2) by continuing to operate the dams without a valid biological opinion, without completing consultation and failing to ensure that the projects avoid jeopardy and adverse modification of critical habitat. The petition was filed by Earthjustice attorneys representing the Federation of Fly Fishers, Sierra Club, Pacific Coast Federation of Fishermen's Associations, Idaho Rivers United, and the Northwest Sportfishing Industry Association. The court scheduled the plaintiffs' filing for Aug. 15, and defendants' reply by Sept. 15. EJ attorney Steve Mashuda told NW Fishletter that the groups are still "contemplating" filing a challenge to NOAA Fisheries' 2014 Biop in Oregon federal district court, where their previous BiOp challenges have been heard. The Northwest Power Act calls for all actions against BPA RODs to be heard in the 9th Circuit Court. Earthjustice filed a May 14 FOIA request with BPA, asking for any communication between employees or contractors of BPA, NMFS, the COE, and BuRec after Feb. 1 that related to the Independent Scientific Advisory Board's review of Oregon's spill proposal or the CSS study design. On May 19, BPA told Earthjustice that it couldn't complete the request until Aug. 29, and suggested that EJ might modify the request for faster processing. 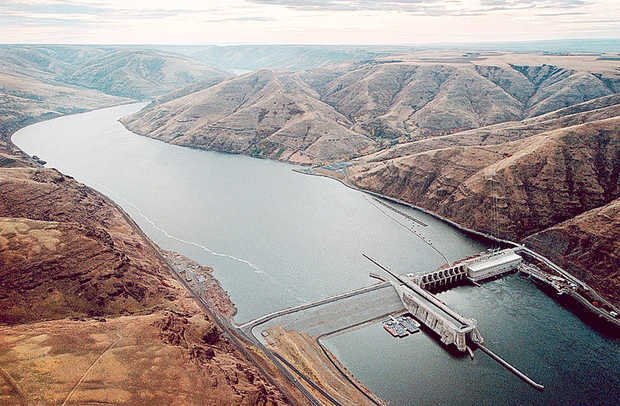 In late February, the ISAB found serious shortcomings with the spill proposal, which Oregon had earlier recommended as an amendment in the latest revision of the region's F&W program, now under way at the Northwest Power and Conservation Council. It has not been included in the draft program released for public comment. The 2014 BiOp has fleshed out the previous BiOp with more habitat actions, as ordered by now-retired federal judge James Redden in August 2011, who faulted the original salmon plan for not having specific actions for improving habitat beyond 2013. The new supplement contains more actions that focus on tributary and estuary improvements to be completed between 2014 and 2018, when the BiOp ends.